Biketown for All member Jon Horton. The City of Portland just announced an important update to its Biketown for All program that makes it even easier for low-income residents to access to bike share. As of today, anyone with an Oregon Trail Card is now automatically eligible to take part in the program. 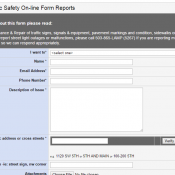 PBOT has launched a new online registration form that streamlines the sign-up process. The latest data from the Oregon Department of Human Services indicate there are about 70,000 individuals in the Portland area who have an Oregon Trail Card. Now people who have an Oregon Trail Card can sign up for a membership online (and the workshops are optional). Biketown for All memberships are just $3 per month — compared to $12 a month — and come with unlimited free rides of up to 90 minutes per trip. 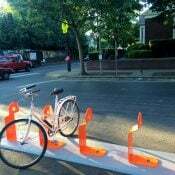 One other perk enjoyed by Biketown for All members: They don’t get fined $2 for parking bikes outside of a designated station. In 2015 we reported that PBOT wanted to expand Biketown to food stamp card holders; but faced several hurdles including privacy concerns. Another concern was that the system has a limited number of bikes (1,000) and it has to turn a profit. 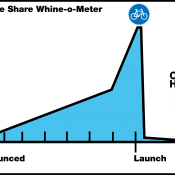 If too many bikes are used by people not paying full fares, it would eat into system revenues. 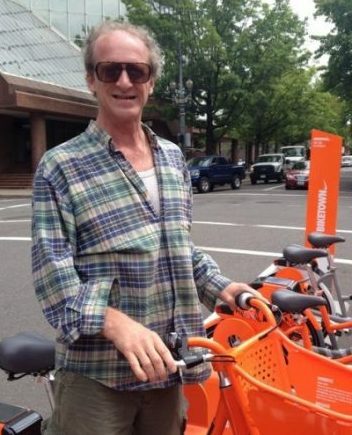 “We can’t run a system based on people who can’t pay,” Biketown Project Manager Steve Hoyt-McBeth told us at the time. 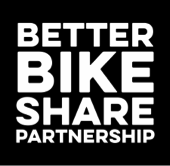 PBOT has mitigated that issue by using a grant from the Better Bike Share Partnership and an in-kind donation of up to $54,000 (good for 500 annual memberships) from Biketown operator Motivate, Inc. to subsidize the program. PBOT says there are currently 166 Biketown for All members. The funding for the subsidized accounts appears to be coming mostly from private organizations: Motivate and Better Bike Share / JPB. Perhaps I’m missing how system ownership plays into this. I’m glad they have put up the money. The decision to remove the station requirement from these users does strike me as an odd one. you have an odd definition of private. better bikeshare is non-profit that funded a *PBOT* grant. And you have an odd definition of public if you think it applies to BBS or Motivate. That the money was passed through PBOT is irrelevant. This type of donation could have happened regardless of who operates the system. This is awesome! Everyone should have access to bikeshare. Doesn’t seem to work for people who already have a one ride at a time account. I like the concept but wonder how they enforce policy. I also wonder who is going to bother to park at a station if they don’t have to? I also don’t follow the logic of waiving the $2 fee for parking the bikes away from a station. Regular Biketown users know where their closest station is, and go there expecting to find a bike. Rebalancers also work more efficiently when they can pick up multiple bikes in one location. It’s so that people can have a set / structured budget. I get that, but people can have a set budget of $3/mo simply by returning the bikes to the stations . . .
A one dollar credit for return to a station, a bike share bike left outside of a station? Nice. People being waived the fee, could leave a bike outside of the station, and let their friend know ‘hey, the bike is over there.’. Bring it back for a buck credit. Easy way to get the monthly three buck membership, or the twelve buck membership fee back. Participants in this program get “…unlimited free rides of up to 90 minutes per trip.” Also nice. Any consequences for not ending the ride within the 90 minute time period? Wait…I think I see, sort of…the users’ account gets charged the standard hourly rental fee after the 90 minutes. 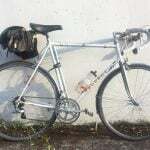 I just hope this program has more people riding the bikes, in all types of weather, fair and bad. Can Oregon Trail card holders also ride MAX and buses for free? Shouldn’t all Portlanders be required to make a room available for a homeless person each night? We’ve got to show the world how progressive an compassionate we are, right? Be the change you want to see in the world, right? Who wants to get it on the ballot? Yeah, nobody ever has a bona fide altruistic bone in their bodies, they just want to show everyone else how good they are. Mother Theresa was just a publicity-seeking huckster. If she really cared about the poor, she would have given a poor person the habit off her back. And those emergency workers in Houston? Every one of them, just in it for the Facebook likes and selfies. My sarcasm above notwithstanding – if you think this or other pro-poor initiatives are motivated by ‘looking good’ rather than a bona fide interest in helping folks, present some evidence of it! Are the politicians and organizations pushing these policies ignoring more-effective but less-high-profile options that have been presented to them? Do they reveal a disdain for the poor in their private lives? Presenting your opinion without any evidence strikes me as disrespectful to the folks who work on projects like this. Even if you’re right and the people in charge are disingenuous, it stands to reason that some people in the organizations have their heart behind the initiatives. You’d want to open their eyes to their bosses’ intransigence, right? Evidence is needed in order to do that. Cynical curmudgeons don’t need evidence. They’re being the negativity they want to see in the world. I think it is important for transit and active transportation to be accessible to all incomes. The Biketown for Everyone initiative makes sense, even though I am puzzled about the non-station fee waiver. TriMet will launch a somewhat similar program shortly.